FOR OFF-ROAD USE ONLY. NOT EMISSIONS LEGAL. 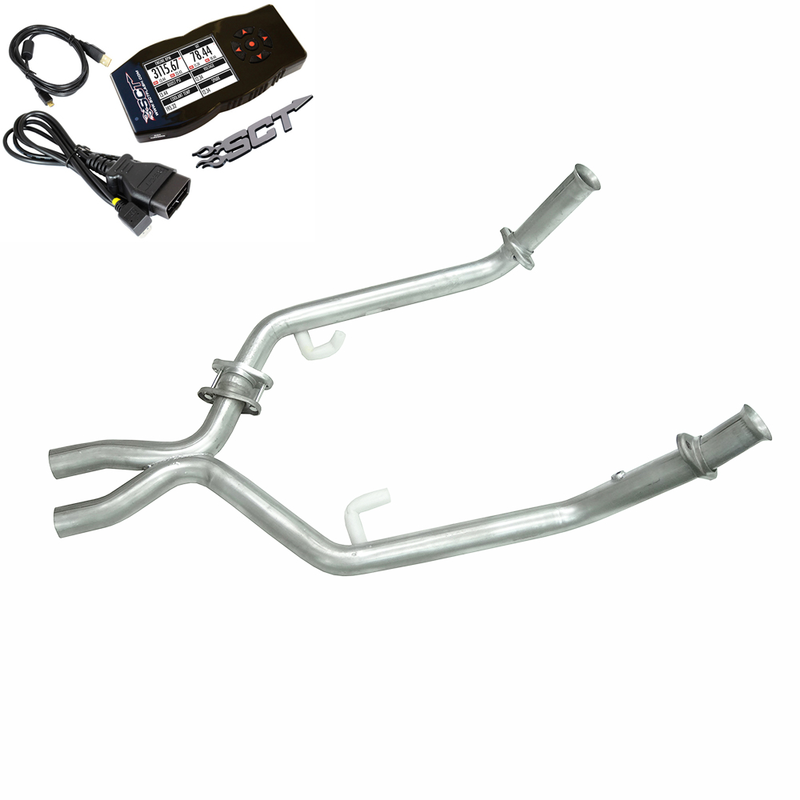 UPR products 2005-2010 Ford Mustang Off-Road X-Pipe Exhaust & SCT X4 Power Pack. Our kit offers better ground clearance than every other X-Pipe available. Our Off-Road X-Pipe will add as much as 20+HP. Our X-Pipes are manufactured in house for quality and consistency that you can trust. UPR is one of the pioneers of the X-Pipe, race and street car owners have trusted our custom design since late 1995. Mandrel bent aluminized tubing for maximum airflow throughout the entire pipe. 2005 2006 2007 2008 2009 2010 4.6L 3V V8 GT Mustang Steeda Roush & Saleen Vehicles. No one else can stack up to the bold clean styling of our aftermarket Billet dress ups, Street Strip & Racing Suspension & Performance Parts for your late model American Muscle Car!